Lesotho Independence Day is celebrated on October 4. This public holiday commemorates the independence of the Kingdom of Lesotho from Great Britain in 1966. Lesotho (then Basutoland) became a single entity in 1822. It was united by King Moshoeshoe I. In the 1860s, Moshoeshoe fought a series of wars with Boer settlers, who tried to colonize his lands. Having lost a great portion of his territory, Moshoeshoe asked Queen Victoria for help. She agreed to establish British protectorate over Basutoland in 1858. The colonial era in Lesotho began in 1870, following Moshoeshoe's death. In 1871, Basutoland was annexed to Cape Colony. After the Gun War, it was restored to its status as a protectorate. In 1959, Basutoland was granted its first elected legislature. Six years later, the general elections were held. Finally, on October 4, 1966, Lesotho gained full independence. 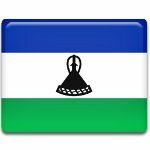 Independence Day of Lesotho is a national holiday widely celebrated throughout the country. It is marked with flag-raising ceremonies, speeches, colorful parades and processions, performances, and other festive events and activities. The official reception is held in the capital city of Maseru, it is presided by the King and the Prime Minister.